The MPI für Radioastronomie in Bonn and the Astro Space Centre of the P.N. Lebedev Physical Institute of the Russian Academy of Sciences are collaborating in the framework of a Humboldt Partnership Program, with the main focus of the collaboration laid on the space VLBI mission "RadioAstron". Marking the the second year of the Program, a workshop takes place in Bonn on December 13-15. 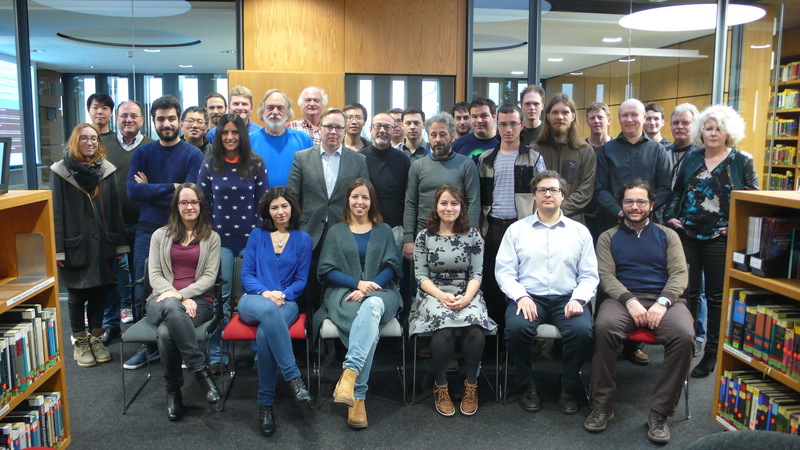 The workshop also embraces a number of external collaborators of the Program, with participants from Instituto de Astrofísica de Andalucía, Aalto University, and the Istituto di Planetologia e Astrofísica Speziali. The first day of the workshop (December 13) is open for the general public, featuring presentations about key science projects of the RadioAstron and their potential synergies with the GMVA and EHT observations. On December 14-15, further collaboration issues and plans are discussed between the internal and external collaborators of the Program. The event is partially supported by the Alexander von Humboldt Foundation.